Nothing is of pure form in today’s era. The air that we breathe is polluted, the food that we consume is mixed with chemicals and the lifestyle that we live is also stressful. Under such circumstances, the immune system will definitely be weak, leading to more and more diseases. The respiratory problems like asthma, cold and cough are common these days. 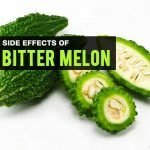 If you are looking for a solution to deal with them, bitter melon can be a remedy to it. You can consume a glass of bitter melon juice everyday to avoid these problems. You can also try the paste of bitter melon leaves. ● Take few leaves of bitter melon and make a paste of it. ● Pluck few tulsi leaves and make a paste of it. ● Add 1 teaspoon of honey to it. ● Mix them all well and consume it in the early mornings. ● It is a great remedy to treat all respiratory infections. ● Take a fresh bitter melon and wash it. Peel off the skin if you wish to. ● It is better to add the skin of the bitter melon to your diet as it is rich in minerals and vitamins. ● Take out the seeds from the bitter melon. Chop the bitter melon and add it to the grinder. ● Add few drops of water and grind it completely to get a liquid form. ● Strain it off and drink the juice immediately. 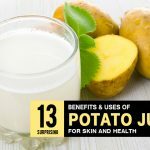 ● Do not store the juice for longer time. 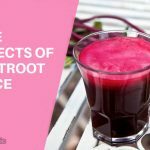 This juice is said to treat all the liver related infections, if consumed on regular basis. Looking for a solution to strengthen your immune system? Boil the leaves of bitter melon and add it to your diet. 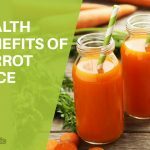 You can also drink it in the form of juice everyday. Bitter melon is said to cure Type 2 diabetes. When the cells loses the ability to absorb the sugar, it affects the blood. The deficiency of insulin arises in the body leading to Type 2 diabetes. When the body has sufficient number of kinase proteins, sugar can be easily absorbed by the cells. Bitter melon activates AMP which in turn increases the kinase proteins. Thus, the sugar level is increased in the body and TyPe 2 diabetes can be handled. If the cancer cells aren’t prevented from multiplying, they will spread to the entire body. Bitter melon is said to prevent the cancer cells from multiplication. Bitter melon is low in calories, but is filling in nature. 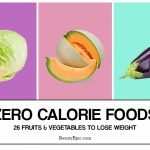 It will satisfy your appetite without adding to your weight. 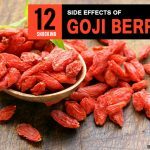 It also has antioxidants that helps in digestion process. If you have a strong digestion, all the toxins will be out of the body, leading to weight loss. Bitter melon is also watery in nature that controls your appetite. A glass of juice can do wonders to your body. 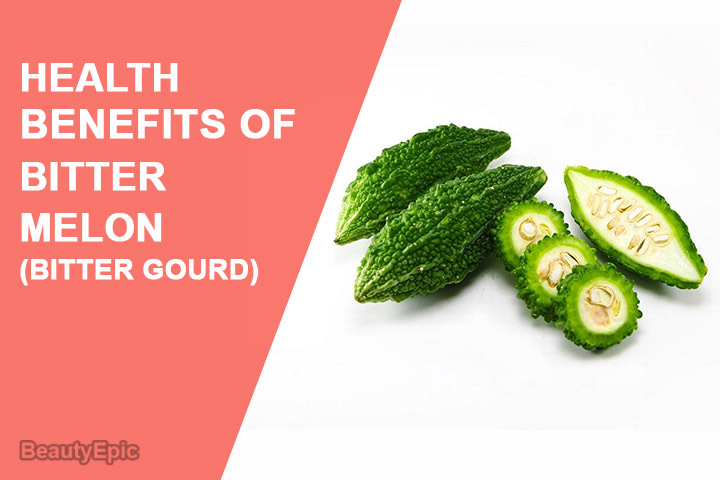 Bitter melon prevents blood clotting. It also heals the wounds faster as it has healing properties. The skin is very sensitive organ and it is widely exposed to the external environment. It is exposed to the sun, air, smoke and what not. If proper care is not taken, it might lead to skin problems. Tanning, rashes, acne, wrinkles and fine lines are some of the common skin problems that everyone faces. Bitter melon has blood purifying activities that helps the toxins to be out. This also leads to a healthy and glowing skin. The most common skin infections are psoriasis and eczema which leaves the skin inflamed and dry. Bitter melon is said to treat skin infections as they have blood purifying elements. They are also said to treat ringworm, athletes foot and other fungal infections. The vitamin C that is present in bitter gourd is a strong antioxidant to deal with free radicals that is present in the body. The antioxidants prevents the formation of wrinkles and fine line and thus slows down the ageing process. Bitter melon is also said to protect the skin from the harmful rays of the sun. Those white particles that falls off from the scalp leads to many other hair problems. It is better to treat dandruff in the initial stage only. It mainly occurs due to pollution and when the oil isn’t completely washed off from the scalp. ● Take a bitter melon and wash it with water. ● Chop it into pieces such that it can be grinded properly. ● Add few cumin seeds in it. ● Make a paste out of it such that it can be absorbed by the hair. ● Apply evenly on the scalp and hair roots. ● Cover it up for few minutes with a shower cap. ● Rinse it off with water after 2 hours. ● Use a mild shampoo and conditioner. Bitter melon is the best natural way to add shine to your hair. It is chemical free and is harmless to the hair. ● Take a bitter gourd and chop it. ● Add 4 tablespoon of yogurt to it. ● Turn them into a paste. ● Apply on your tresses. ● Wash it after few hours. Your hair will be silky and shiny. Follow this application twice a week for better hair texture and shine. Take raw bitter gourd juice and apply it on your hair. Comb your hair such that the juice reaches to all the corners of the scalp. Follow it thrice a week to get rid of the split ends. The scalp dries down due to lack of moisture. If you have mild infection or itchy scalp, bitter gourd can be a solution to your problem. Slice a piece of bitter melon and rub on your scalp. Massage it gently on your scalp and leave for few minutes. Wash it with clean water. If you have sufficient time, you can also make a paste of bitter gourd and banana to deal with itchy scalp. Your timely initiative can save your scalp. If you are a victim of hair loss, try bitter gourd. It has the natural abilities to stop the hair fall. Make a paste of bitter gourd and add sugar to it. Apply this paste on the scalp and massage it gently. Leave if for an hour for the scalp to absorb it. The hair loss will drastically reduce. If you are finding it difficult to treat the frizzy and tangled hair, we do have a solution for you. ● Take a bitter melon and extract the juice out of it. ● Apply it on your tresses and leave it for 30 minutes. ● Rinse it off with water. ● Apply it once in 3 days for faster results. The premature hair greying can be easily prevented by apply bitter melon juice to the tresses. Repeat this application weekly once to deal with greying problems. The hair process will gradually slow down. When there is excess secretion of sebum by the sebaceous glands, it makes the scalp excess oily. This oil must be controlled to prevent infections. ● Take a bitter gourd and extract the juice out of it. ● Add a part of vinegar to it. ● Mix it well and apply on the hair. This application will absorb the excess oil from the hair. Drink plenty of water and avoid oily food to treat this problem permanently. Hope this article has been useful to you. Though bitter melon is slightly bitter in taste, but the benefits are sweet. One must consume a glass of bitter gourd juice early in the morning. The flawless skin and disease free body is the end result of consuming bitter melon. Do share your feedback with us and let us know of the other benefits of bitter melon. We would be glad to add it.